Why do some innovations soar--and other ones fall flat? Waiting for an innovation to take off can be unbearably frustrating. You've done all the research, hired the best people, produced a great product. And then...nothing. Worse, you look around and see other new gadgets and ideas become popular seemingly overnight. Why not yours? While there is no silver bullet for creating an instant hit, there are steps you can take to make sure your idea or product is on a fast(er) track to success. 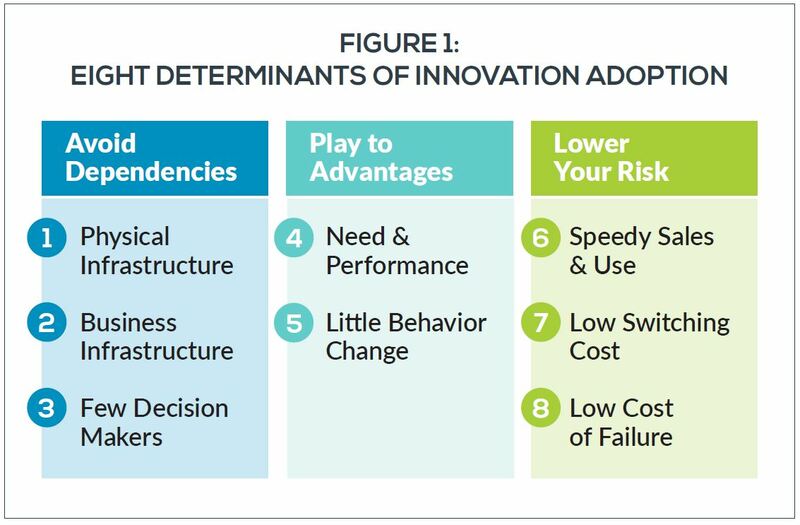 In this free working paper, we look at 8 factors that influence the adoption speed of an innovation--and provide examples and case studies of each.